Located just off Interstate 35 Exit 32, Microtel Inn & Suites of Ardmore is a convenient place to take a rest or spend a vacation. The building offers connected rooms, free local calls, cable television, Extended Stay Suites, Health Club privileges, and a continental breakfast. 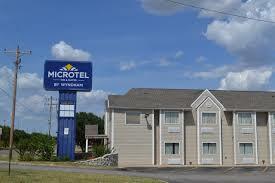 Microtel Inn & Suites is only minutes away from several area attractions and restaurants.